Gordon manages coaching and combat performance development of our performers. He has been involved in historical interpretation for almost two decades and is now training for the Stunt Register. Gordon also fights in the IMCF a Full Contact Medieval Armoured Combat sport. He is a qualified sports coach, holds industry recognised screen combat certificates, is a Mountain Leader and Rock Climbing Instructor, he has trained with the national snowboarding team for Boarder-cross racing and has competed in national Motorsport events. He is also qualified in wilderness first aid and is an Archery GB coach. Lily manages club admin, event organisation and marketing. Lily has a long history in independent media publishing, she has experience in event organisation and fundraising, as well as working professionally in the business to business sector. She is an author and speaker on historical spirituality and its impact, and has recently undergone training with an industry recognised screen combat training provider and is also a qualified First-aider. Sadie manages our artist representation and perfromance development. Don't let her youthful looks fools you, Sadie is a veteran of stage and screen, working as an actress from a very early age. She has attended professional stage schools, has a high level of experience in all genres of acting, has attended screen combat training with an industry recognised provider, worked as technical crew in theater productions, and trained performers in specialist performance, such as horror acting, with some of the UK's top production companies and is also a qualified First-aider. James is our resident Tech wizard. He is also an active member of The Combat Team. He has been a performer for 16 years. His roles have been diverse, ranging from stage and screen as an actor and as a chorus member to performing with bands as a percussionist. He also has over 9 years of experience in Wrestling both Professional Shows and the Greco-Roman style. He has additional skills in Hosting and Presenting, Stage Management, Data Wrangling, Production Coordination and as an Assistant Director. He's the team's resident badass-niceguy. We also think he's a Wizard. Michelle is our Arts Award Assessor and a part of the administration and organisation team. Her skills extend beyond the combat roles as she is a competent seamstress and makes a wide range of historical and fantasy outfits. She also enjoys a range of other crafts including, but not limited to, brewing and historical cooking. She's performed at horror attractions and also has some experience with processional theatre pieces. In the past she has been a Brownie and Guide Leader and has vast experience of working with young people from key stage 2 to key stage 4, with varying degrees of learning abilities. She also worked as ships cook on an 18th century replica Man-of-War. She's lethal with a ladle! Danny is one of our combat coaches. He has a background in photographic modelling and has appeared in national publications. He has worked across many areas including artistic, fantasy, historical, fashion, alternative fashion and editorial bridal. He trained as a graphic designer and frequently makes logos for small businesses and companies. However the passion behind his work is creating graphic art and paintings. Danny has performed in live shows, scripted and improvised performances including processional theatre pieces. He's worked as a supporting artist in several major film and TV productions as well as smaller budget productions. He's also anexperienced skier and has undergone some firearms and first aid training. We believe he's really one of the Duegar. James has been with The Company for several years and is part of our Live Show Team. 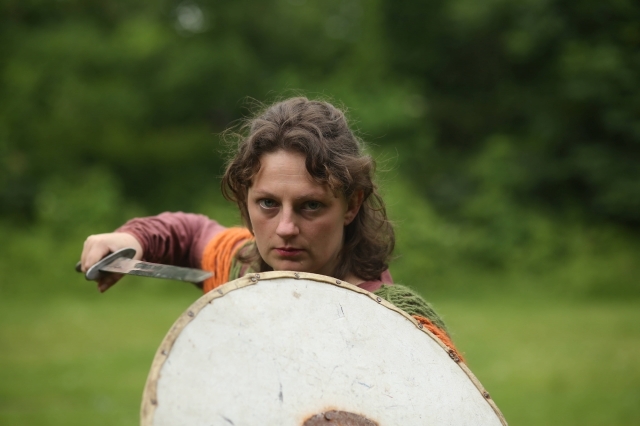 He has experience in Modelling and Photography, Stage Combat and Living History. He enjoys doing live displays and acting work in all it's forms. He also has experience as technical crew for film. James has a keen interest in Bartitsu a Victorian Martial Art and trains regularly with a local club. James has modelled for The Royal Pathology Society and has also been an Alternative Modelling Contest Finalist in 2016 . Legend says he's really a Steampunk pirate lord. 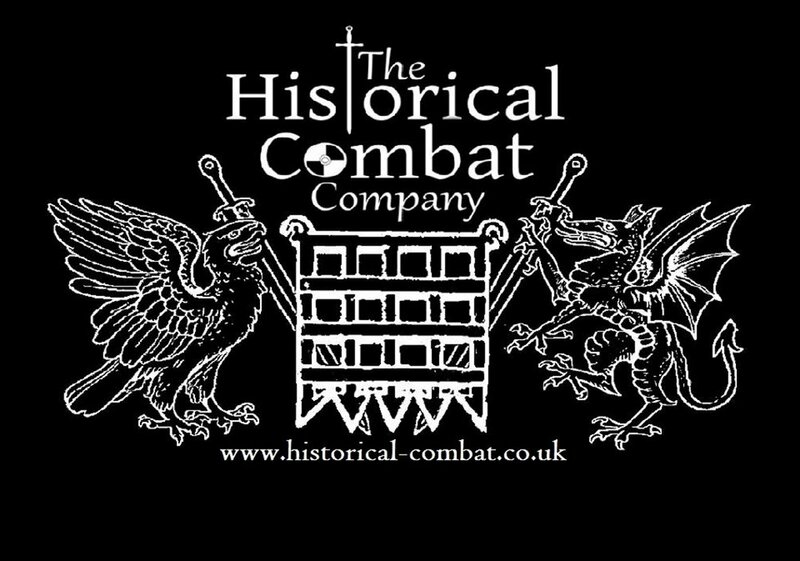 Jill has been involved with The Historical Combat Company for several years. She enjoys historical research and making her own period clothing. She always strives to use materials appropriate for the specific time periods. Jill is a skilled Archer and has been shooting different styles of bow for years. She also enjoys a wide variety of crafts from pouches and purse making to candle rolling and weaving. She loves combing rivers and beaches for unusual rocks, pebbles, glass and fossils some of which she’ll use in her own artwork. Her weekend job is as a ninja-squirrel. Ewan has been involved with reenactment for almost two decades. He began with the English civil war period and then expanded into the medieval eras. He was trained from an early age in the handling and riding of horses and in dealing with most forms of livestock. Has good experience working on small to medium sized boats. He's more than comfortable working in remote areas and adverse weather conditions. Ewan is confident in both wearing and performing in special effects make up, and more recently has been working in the production of special effects. He's also a google-foo master. Amy is a talented and versatile performer and is part of our Live Show Team. She has experience in many styles of performance, including improv. She has had a deep love of history since her school days and always tries to learn as much as possible about different periods. She recently discovered a love of sailing and achieved her Royal Yachting Association Competent Crew qualification. As a teenager she was part of the Army Cadet Force which enabled her to gain a Bronze Duke of Edinburgh Award. Later she became a DofE leader building on her team management skills, reinforcing her map reading and finely honing her camp craft. For the past seven years Amy has been a youth worker in a community garden teaching about wildlife, the environment and has also run training courses about working with Transgender young people. Jake is a musician and a member of our Live Show Team. He has been performing music professionally for over a decade after winning the "Buskidol" competition at the age of 15. He has been honing his craft for most of his life, having performed as a singer since the age of 5, he began playing instruments at age 8. Jake is now a multi-instrumentalist and vocalist but he specialises in solo performances using just a guitar and vocals. He is writing, producing and publishing his own music from home while he completes his Bachelor of Arts degree in music. Having joined the Historical Combat Company in 2015 he is well on his way to becoming an accomplished fighter and is rekindling a lost love for acting and public speaking. When not writing or performing Jake is researching as much as he can regarding history and arts production. He is merciless, geniunely a no-holes-bard!